BCMS swept Thursday afternoon's tennis matches played at East Laurens. Scores of both were 3-2. Bleckley travels to J.R. Trippe April 22 at 4 pm. 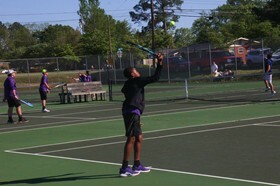 BCMS swept Tuesday's home tennis finale versus Swainsboro with the boys winning 5-0, the girls 3-2. Bleckley plays at East Laurens April 18. Start time is 4 pm. BCMS split home matches against Jeff Davis Monday afternoon with the boys winning 3-2 and girls losing 1-4. The final home matches will be later today at 4 pm against East Laurens. 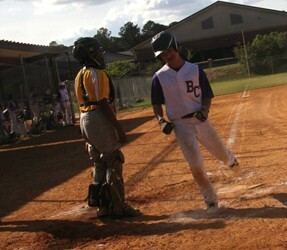 BCMS lost their final baseball game at home to West Laurens 18-1 Monday afternoon. The Barons finish with a 6-8 record. Though missing several players due to the annual school trip to Washington D.C., BCMS easily swept the season series from Dublin, winning 20-5 at home Thursday afternoon. Kade Hill went 3 for 3 with a home run and two triples. J'Shun Height was 3 for 3 with two triples. Clayton Beck went 2 for 3 with a double. Bleckley will make up the April 8 postponed home game against West Laurens April 15. Eighth grade recognition ceremonies will be at 3:40 pm, game starts at 4:30.